With the kids well and truely back at school, all of the essentials have been purchased and they are all kitted out for the next few months to come. Debenhams kindly asked me to review a a selection of items from their back to school range, I was told I could pick out four things, so I chose school shoes for both Elise and Freya, a jacket for Freya as she had out grown her previous years coat and a new lunch box for Gracie as she is now having packed lunch at playschool. 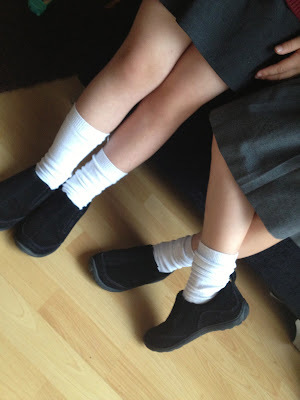 Now I don't know about any of you but I lose count of the amount of pairs of school shoes that my daughter's have been through, I'm not sure how they manage it but the shoes just seem to fall apart. So I was on the look out for a nice durable pair. The shoes below are Lands End All Weather Moccasins. My lovely five year old informed me straight away that looked boring, I promptly told her that they were smart not boring. Made from all weather friendly suede, they have reinforced stitching and slip resistant heels. These shoes were actually put to the test on Monday when they had to face torrential rain. I'm pleased to report that they survived and the girls feet were kept nice and dry inside of them. 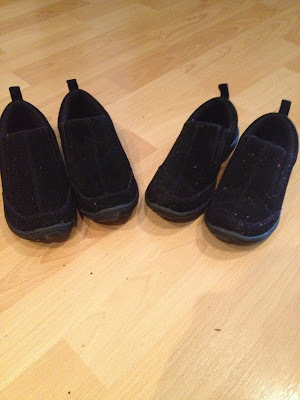 With elastic vents and tabs at the back, these are easily slipped on, no worry about laces or velcro that doesn't stick however I think if your child has wide feet they may struggle. At the moment they are on sale for the bargain price of £17.46-17.50 and I would be more than happy to pay a dearer price for them. 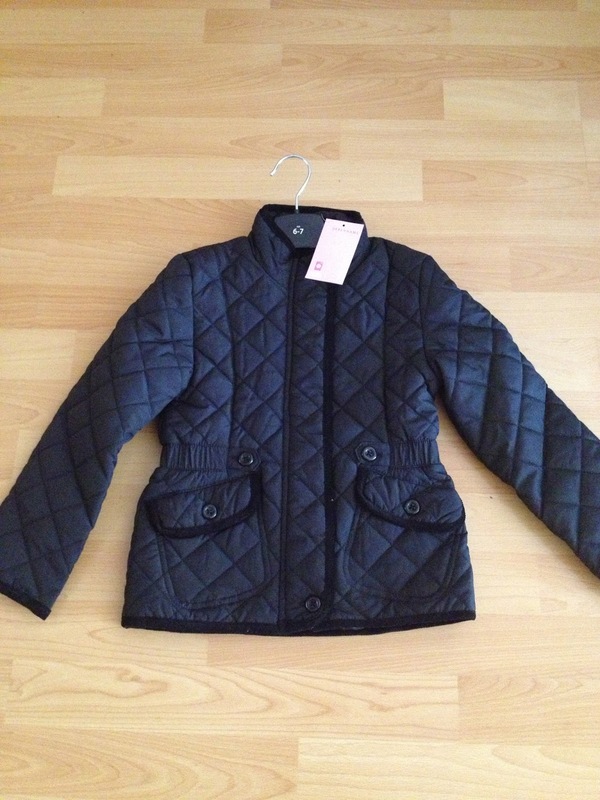 I chose a black quilted jacket for Freya to wear on those days where the weather is still seasonably warm. The jacket is in a fitted style with two front pockets and cord trims. Although quilted, it is quite thin and very lightweight. It doesn't have a hood so would be no good on rainy days but it works well for those slightly chillier days when the wet weather stays away and I think it would be perfect for the Spring season too. As you can see from the photo above, Freya really loves the jacket and was more than happy to pose for pictures whilst wearing it. The black colouring is very neutral so would be fine to match any uniform. On sale for between £16.00-20.80 at the moment, it is beautifully made and adds a little style when playing in the playground!! 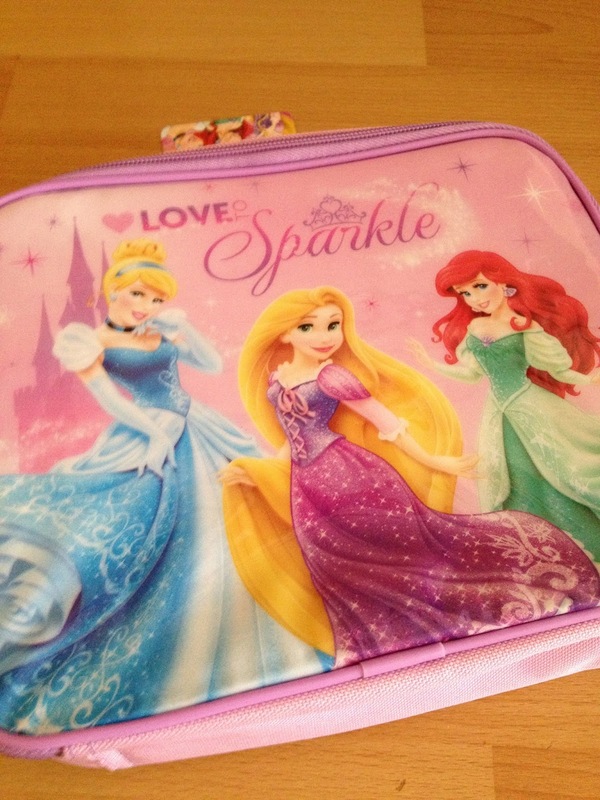 The last item was the lunch box. I let Gracie decide which one she would like, I'm pretty sure I would have picked the right one if it had been left up to me, what does every little girl love... Disney Princess. This little girl is a huge fan of everything Disney Princess, especially Rapunzel!! 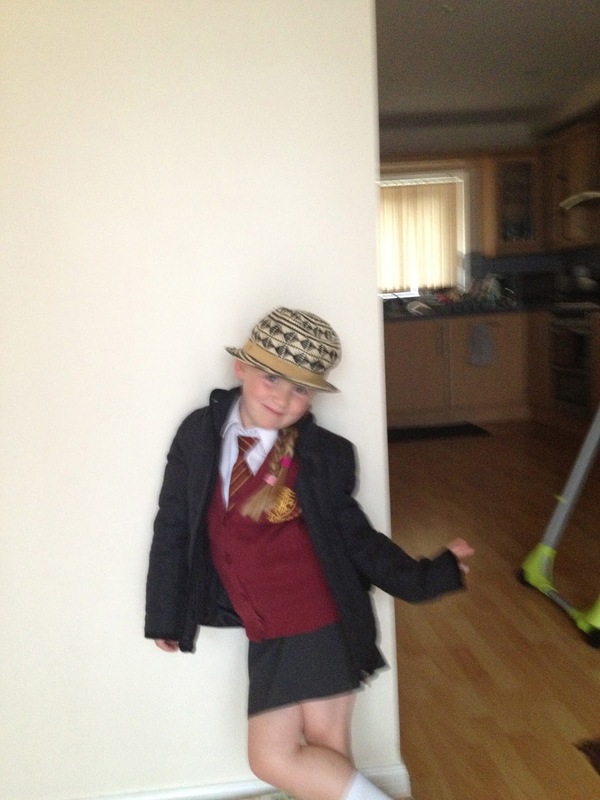 She couldn't wait to show it off to her friends at playschool. It is insulated inside, keeping those lunches fresh and it is fastened by a zip around the outside. There is a card on the back for you to write your childs name, number and class, just incase the lunch box ever gets lost or mixed up with someone elses. Priced at £8.00 at the moment, I think this reasonable compared to other shops selling similar ones, I just wished it came with a bottle too instead of having to bu one separately. The girls and I were very impressed with the items we were sent from Debenhams. I was impressed with the quality and the pricing, whilst the girls were very impressed with how they looked, the difference between a child's and a parent's thoughts!! Debenhams have up to 20% off their entire school range at the moment so if you've realised that you have forgotten something, or maybe you just want to stock up for next year, why not check it out!? What back to school bargains have you managed to purchase?? Disclaimer : These items were sent to me free of charge for reviewing purposes however all thoughts and opinions are my own. I find shoes so expensive for children! I love that little jacket, so cute.